SUNLIT LILIES - OIL - $650.00. 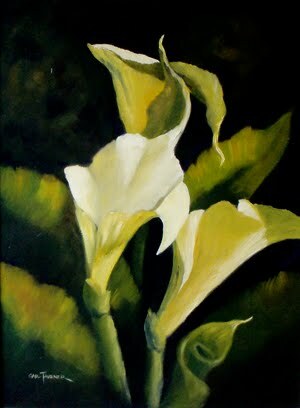 This gorgeous traditional oil painting was inspired by my friend's lily patch. It is a very traditional oil and hones in on the flowers. It is beautifully custom framed in a modern yet traditional look timber frame with goldish/green tonings. SEE THIS PAINTING AT BENDIGO POTTERY in the cafe.